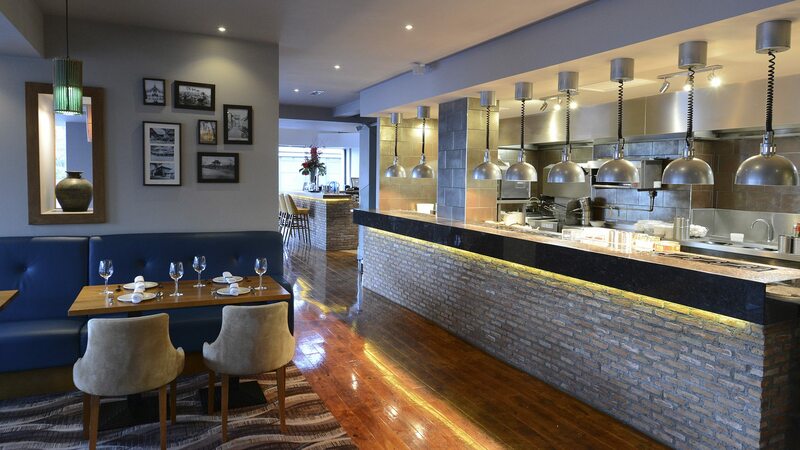 When Chilli Banana relocated their contemporary Thai restaurant to the centre of Wilmslow, owners Steve and May Wakefield knew that Dawnvale had the industry knowledge and experience needed to restyle and refurbish the entire ground and first floor premises. Chilli Banana was another turnkey project for the team at Dawnvale. We took the restaurant from concept and design to demolition and re-build, incorporating a stylish new bar, a low energy theatre kitchen, furniture and fittings, and ventilation. Chilli Banana Wilmslow is set across two floors, with a restaurant, theatre kitchen, private dining space for 60, and heated al fresco terrace, each space needing a distinct identity and design. Eclectic design, subtle lighting and a mix of seating styles make Chilli Banana a comfortable, sophisticated space, while polished wood floors and steel fixtures add texture and light. Energy efficiency was a core component of our work for Chilli Banana. Our bar and kitchen designers opted for low-energy and energy-reducing equipment wherever possible. We commissioned a bespoke, low energy induction wok station with integrated refrigeration, induction woks, and water faucets set in a stainless steel top, achieving an 80% energy saving on conventional woks. Attention to detail is at the heart of our design. The bar bricks for the bar frontage and feature walls were imported from Thailand to give a unique and authentic look. We supplied and installed a complete, state-of-the-art extraction and ventilation system at Chilli Banana, helping to keep the bustling restaurant’s kitchen operating smoothly and safely. Lighting can make a huge difference to the ambience of a venue. We planned and installed a bespoke LED lighting set-up as a core part of Chilli Banana’s design scheme. Every venue needs a focal point - something to wow customers. A beautiful 12ft x 10ft mirror was imported from Thailand to complete the new look at Chilli Banana in Wilmslow.